Big Ears + Moogfest + Record Store Day vinyl release of Colleen et les Boîtes à musique and vinyl reissues of 2nd and 3rd albums! Tomorrow morning I’m leaving for Big Ears in Knoxville, Tennessee, a festival with a truly amazing lineup, where I’m playing two shows on Friday 24th March at the Mill and Mine and Sunday 26th at the Standard, plus a participation in a panel on Sunday morning! The 24th March show will be available to see via live streaming on Aurora here. I’m also delighted to let you know that I’ll be playing at Moogfest on May 20th, where I will also give my first ever workshop – details on the workshop’s contents and how to sign up will be made available in early April. Before that I’ll hit San Diego at UCSD on May 18th, so this will be quite a trip! But apart from these live shows news, I’m beyond excited to let you know that The Leaf Label are issuing for the first time on vinyl my special EP from 2006 Colleen et les Boîtes à Musique and are reissuing my long out of print The Golden Morning Breaks and Les Ondes Silencieuses for Record Store Day on 22nd April! For the first time my entire discographical output will be available on vinyl, and that means a lot to me. The Boîtes EP features new and truly stunning artwork from my partner in life and in art Iker Spozio, and all three releases are on coloured vinyl limited to 750 copies each: silver for the Boîtes EP, gold for The Golden Morning Breaks, and transparent for Les Ondes Silencieuses. They will be available on Record Store Day through participating shops in the UK, North America, France, Germany, Benelux and Italy. PS2: talking of coloured vs black vinyl, lighter colours are supposed to sound better than more opaque ones, so my colour choices are both aesthetic and acoustic. The test pressings by Optimal sounded really great so I trust that these vinyls will not only look beautiful but even more importantly *sound* beautiful. 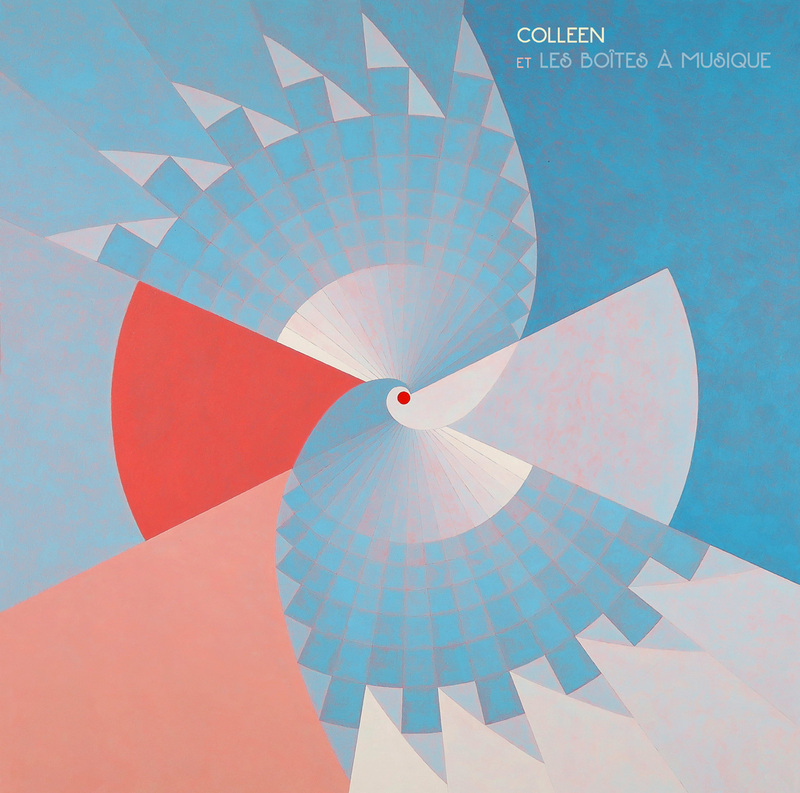 You are currently reading Big Ears + Moogfest + Record Store Day vinyl release of Colleen et les Boîtes à musique and vinyl reissues of 2nd and 3rd albums! at colleen.